Catfish and the Bottlemen are destined for great things. It’s hard to explain, but this 4- piece from Wales has the potential to be the next big rock band. One year after releasing their first three singles, Catfish and the Bottlemen were already playing Reading & Leeds, T in the Park, and the Governors Ball in New York City. After releasing their debut album The Balcony in the UK and seeing the success it had, the band finally released The Balcony and embarked on a tour in the US, and we’re really glad they did. Just from hearing the beginning of the first single “Kathleen,” it’s pretty obvious Catfish and the Bottlemen have what it takes to be huge worldwide. It somehow sounds familiar yet brand new. It’s just insanely catchy and has a new sound that can easily be traced back to the band’s inspirations, a mashup of groups like Oasis and The Arctic Monkeys. “Fallout” is easily one of the best songs on the album. It’s easy to connect with frontman Van McCann and identify with him through the lyrics. It’s a very powerful and emotional song with a unique and catchy melody. Landing in the middle of the album, “Hourglass” is definitely a hidden gem, clearly showing off Van’s true talent. It’s the closest to acoustic and calm the album gets and evokes an indescribable emotion. Honestly, listening to “Hourglass” is an experience, full with beautiful guitar and capturing vocals. Out of all of the songs on The Balcony, “Cocoon” is definitely the most well rounded one. Everything from the mixing to the lyrics fits together in the best way possible, resulting in the perfect song for any occasion. It’s great for just cruising around on a nice day or for just hanging out at home doing homework or cleaning. There’s something new to notice during every listen that makes the song even more relatable and breathtaking. 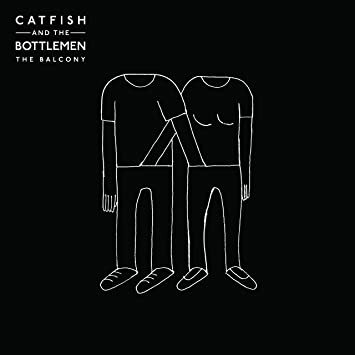 Overall, The Balcony is a fabulously cohesive album with no sore spots. The only complaint that could ever be made about this album is that it’s only 37 min and we never want to stop listening then. It’s been on repeat for a few months now and we have no urge to stop. We think it’s safe to say that this is just the beginning for Catfish and the Bottlemen, and we can’t wait to see what’s next. The Balcony is available now.